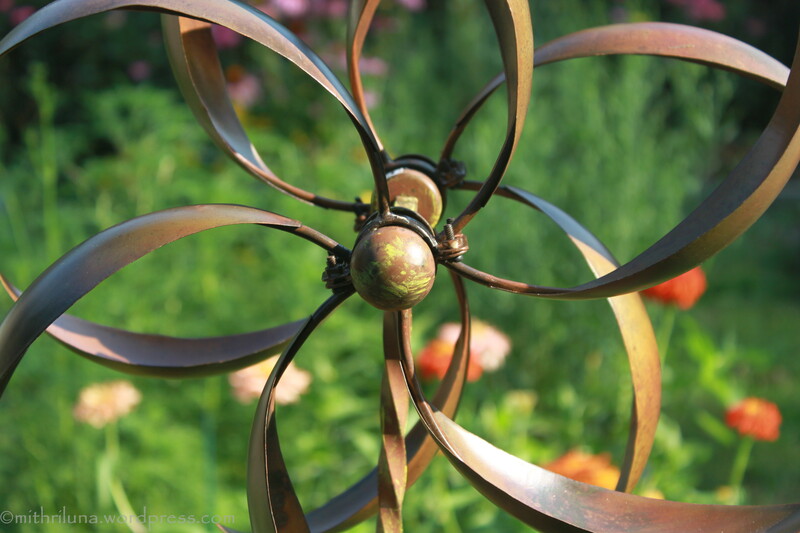 What a pretty sculpture… where did you get it ? Thank you! We purchased it at the Longwood Gardens (Kennett Square, PA) gift shop. I do not know if the sculpture is available online. 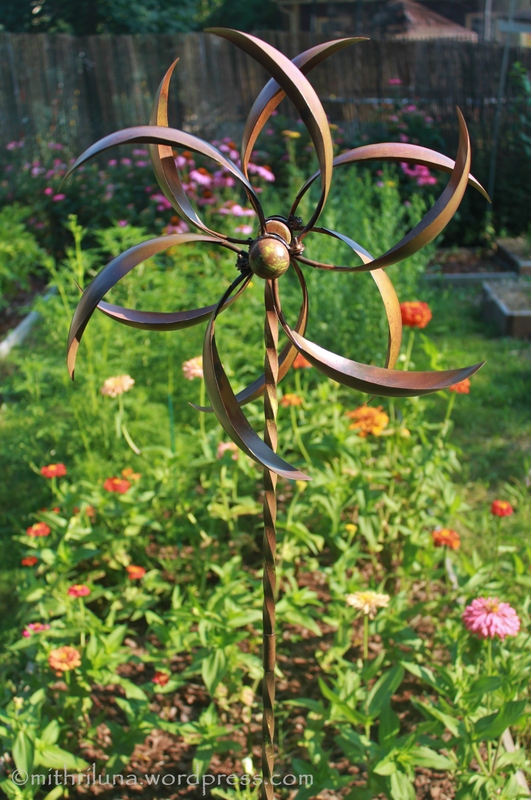 After we brought it home, we realized that it does not really spin when the wind blows but we still love it since it adds so much interest to my cutting garden. I have been wanting to add different sculptures (glass balls are next) to my garden. Why leave the likes again? Well done! Love Longwood Gardens; used to live nearby. Like the way you not only changed positions but also changed focus. Neat! And thanks for your visit to my blog! Thanks! Thanks for visiting mine!